A number of notable events have occurred to me over the last 12 months. When I say “notable” I actually meaning potentially troubling. I turned 40, my temples are definitely greying and my watershed for eating spicy pizza is getting earlier by the week. Even more worryingly I have recently found myself listening to Coldplay on the radio and actually liking it. Needless to say I have managed to overcome these slings and arrows with my usual aplomb. However something far more serious happened approximately 3 weeks ago and it has shaken me to the core. If you think tapping my toe to “Para, Para, Paradise” is bad imagine how I felt when sitting into a VW Touran and thinking (those of a sensitive disposition should stop reading now) “this is actually quite nice!” In my defense it was very nicely specced. Black leather on just about all the tactile surfaces and nice plastics everywhere else. VW are renowned for understated sombre interiors, accentuated here by tinted windows and sunblinds from the B pillar back. I actually quite like this. That said this car sported a panoramic sunroof that brightened things nicely. Well chosen 18″ alloys did their best to dolly up a drab car that is surely the quintessential acceptance of family life and middle age. The one I was in was black and had nicer wheels. That’s it. Is there any hope for me? This really was as good as it got. I can’t find the words to either describe my disappointment in myself nor to explain exactly what it was that attracted me to this car. A brief check with VW’s website told me there probably wasn’t any change from €40000 for this slice of family motoring and the 150hp diesel engine was way too unrefined and sluggish for such an expensive car. It did get me thinking though… What if it was fitted with their lovely 2.0 TFSI? Have I invented the Q Car for 21st century family man? Not a Q Car in sight. 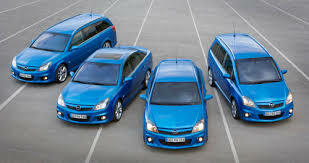 About 10 years ago Opel OPC’d every single car in their range. Including the Zafira. Certainly wasn’t a Q Car though (spoilers and side skirts told everyone about your presence) and I think they sold about 6 of them. Maybe they nearly had it though? Perspective changes all the time. What pleases us at 20 will likely make us cringe at 40. Are we powerless in the face of time? I certainly hope not – I don’t want to spend the next 10 years drooling over Toyota Versos and Peugeot 3008s! Is this where the slippery slope ends? Returning to VW’s website there are only three engine choices, each less appealing than the other, while there are multitudes of options when it comes to the interior specifications. I’m sure VW know their market and if they felt there was demand they would surely install something a little nicer under the bonnet. Obviously the people who buy these kinds of car don’t care much about the engine as long as it gets them from A to B. Were they always like this or does having kids have an effect similar to a backstreet lobotomy? It truly would be a sorry state of affairs if a car lover felt they had no option but to drive such a vehicle. I can’t decide if this post is a cry for help from a petrolhead that actually likes a diesel MPV or a demand that manufacturers give us recourse to at least one pleasant engine powering these mobile boxes. My heart says one thing, my head another and only one thing is for sure – my imagination sure is boggling! Mick: can I direct you to the Ford S-Max? It’s much more of a pleasant device while also allowing a useful bit of load carrying? Or an “estate” which is much like a saloon but with a more space-enclosing boot. These can be as good to drive as their saloon brethren. How about a Subaru Forester? There are lots of alternatives to VW’s sleeping pill. Don’t be fooled by the trim. It’s covering up deep anonymity. Thanks Richard and don’t worry, I’m not going to actually do anything foolish. Yes an S Max would be 1st on the list if I really really had to. I was just disappointed I liked the feckin thing at all. I know I was half joking but it did get to me a bit more than I would have liked. Normal service will be resumed with the next post. I’m relieved to hear it. Given the hypnotic attraction of VW’s trim you’d think the others would have learned to emulate it. Fords and Opels have the same content as VWs. The problem is that they often drop the quality ball in unimportant but noticeable places and get kicked for it. VW are not as flawless as people think. Such flaws are often overlooked. My recent Golf experience showed that impeccable plastic and leather fittings and sterile exterior design aren’t worth a rat’s bass if the car is non-pleasant or unoticeable. Of all the C-class cars, I’ve tried VWs effort is last on my list. Ditto their Touran and Sharan. It just shows how “hypnotic” that trim is. It can and does mask a multitude of sins. Couple of notable mentions come to mind. I used to drive for a car rental company so tried out a number of these. The Mitsubishi Spacewagon back in the mid/late 90s was as the kids say ‘seriously OP’ and a really fun car to drive. A lot of power for a family mover. But the prize for me was the car I was shuttled to school in in the States. 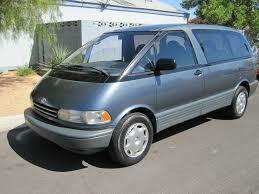 The Ford Aerostar. I never admitted this to my folks but I once took it for a spin when I was 15 without their permission and she really went!!! Of course the family q cars of this generation are the 4wds or subUrban Assault Vehicles. And plenty of overpowered beasts in that category to mention. I remember that Aerostar Clex- tan coloured if I’m not mistaken? I’m pretty sure Hilda doesn’t read my posts so your probably safe to come home this Christmas! There are some acceptable people carriers like you mentioned, i just hope that you’re not too disappointed I liked the Touran. No that’s ok. I quite enjoyed test driving the 2 series active tourer so it must be catching.